Do you need to integrate your Salesforce CRM with an Avaya Aura system? Avaya is making it easier for contact center customers to connect to Salesforce CRM solutions with a new connector that offers greater flexibility for integration and implementation along with a richer feature set. 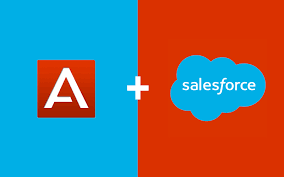 The new Avaya CRM Connector 2.0 for Salesforce will help businesses eliminate many of the unnecessary inconveniences that cause high-effort customer experiences and can incur significant costs to companies. Provide a single user interface for the Salesforce application and embedded Avaya telephony control. Support faster, more accurate and more personalized customer service, while increasing agent productivity and reducing costs. Enable agents to use their Salesforce Agent Desktop to change work modes and choose non-call activities that are tracked with Avaya reporting tools. Rely on the integrated Salesforce and Avaya solution to efficiently track report and manage contact center operations. Seamlessly deploy a true thin client with no need for additional software installation on an agent’s workstation. Fewer clicks for an agent to complete their work, thereby lowering an agent’s time per call.